The government is proposing amendments to its superannuation reform package which could see the outstanding balance of a limited recourse borrowing arrangement count towards a member’s total superannuation balance. SuperConcepts general manager of technical services and education Peter Burgess says the government has proposed a change to the calculation of an individual’s total superannuation balance where there is an LRBA in place. “The proposed amendment will count the outstanding balance of an LRBA each year towards the member’s annual total super balance,” Mr Burgess told SMSF Adviser. Mr Burgess said it appears this proposed change is aimed at overcoming situations where an SMSF member withdraws a lump sum amount from their fund and lends the money to the SMSF to purchase an asset through an LRBA. This strategy could be used by SMSF trustees to circumvent the contribution caps as it would keep their net balance below the total super balance threshold. “What’s not clear at this stage is how the outstanding LRBA balance would be allocated to a member’s total super balance in situations where there is more than one member in the fund,” Mr Burgess said. The government has also proposed making a change to the transfer balance credit provisions so that where a member has a transfer balance account, the amount of the repayment of the principal and interest of an LRBA will appear as a credit in the member’s transfer balance account. “Again it’s unclear at this stage how this would work in situations where there are multiple members in the SMSF,” Mr Burgess said. These latest proposed changes to the superannuation tax reform package come after Minister for Revenue and Financial Services Kelly O’Dwyer told PwC that the government would not implement further tax changes in relation to superannuation in the May federal budget. 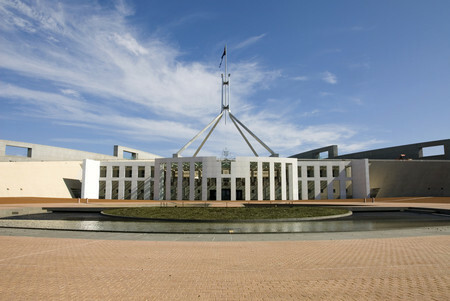 In a letter seen by SMSF Adviser, Ms O’Dwyer said the government intends to legislate these changes in the winter sittings of Parliament to ensure they are enacted by 1 July 2017. “If time allows, exposure draft legislation will be released for consultation,” she said in the letter. Ms O’Dwyer said following “any significant reform package, there are usually a number of issues that arise as the reforms are implemented”. “The superannuation tax reform package has been no different. She also confirmed that the ATO would be providing further information to stakeholders, through its law companion guidelines, as part of its ongoing consultation process.